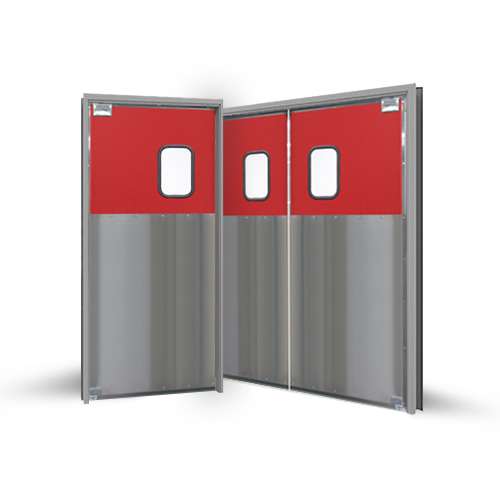 These very attractive traffic doors are installed in some of the world’s finest restaurant, banquet and dining facilities. 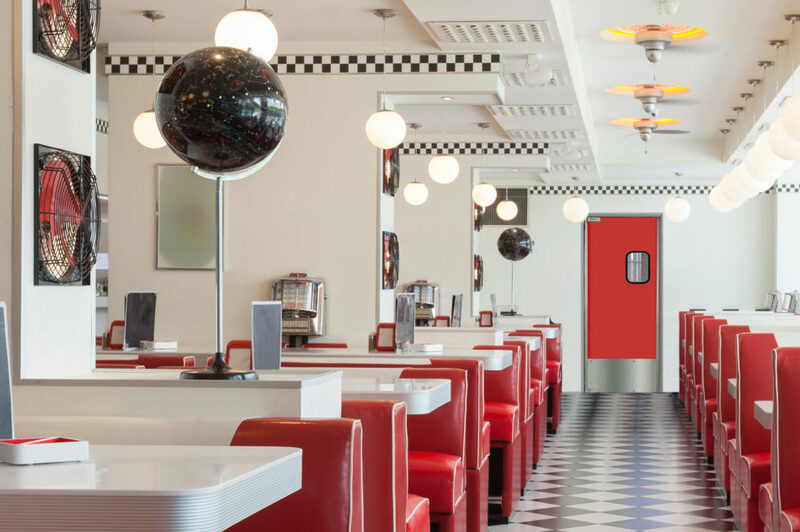 They are constructed of 7-ply exterior grade plywood clad on both sides with High Pressure Laminate available in a virtually limitless selection of colors and patterns. The door panel is then capped with 18 gauge stainless steel. 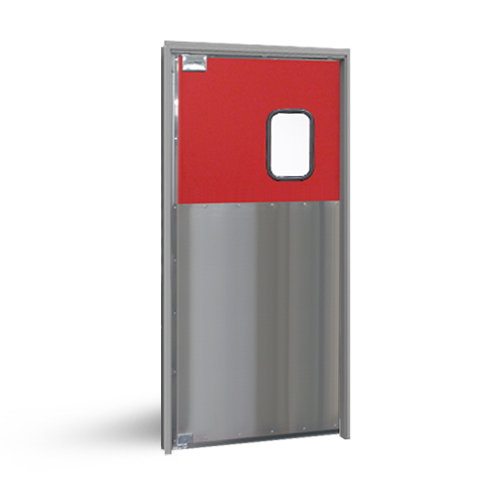 Eliason is the only door manufacturer that welds and polishes the corner joints of our stainless steel edge caps, eliminating unsightly gaps and overlaps present on our competitor’s doors. The Model SCP-6 features a 48” high stainless steel impact plate. Standard scratch-resistant 9” x 14” acrylic vision panels are set in black rubber molding. 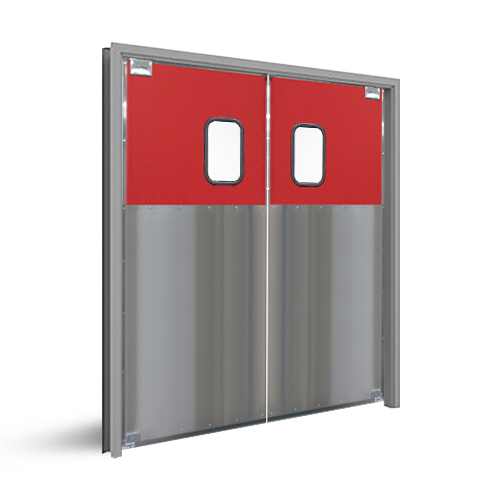 These doors operate on the Easy Swing Hinge System pioneered by Eliason more than thirty years ago, and still the smoothest-operating and most reliable hinge system on the market today. Custom windows, unique laminate designs and impact plate configurations are never a problem at Eliason.